Pure TATP can give a slow response. A noticeable yellow color will be observed within 40 seconds. If a yellow coloration is observed, the user should wait an additional 2 minutes to see if the color fully develops. 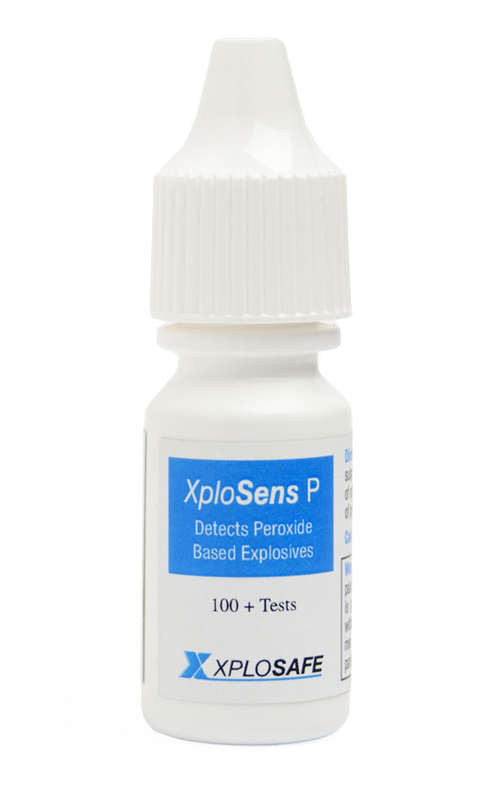 Sodium percarbonate (a bleach alternative) is a source of anhydrous hydrogen peroxide and is detected. For some materials, significant bubbling is observed, for example if the sample contains a carbonate. These materials should be tested by placing a drop of the reagent at an edge of the sample. Dispense one drop on the suspected material. A rapid color change (within seconds) from colorless to orange indicates the presence of peroxides.